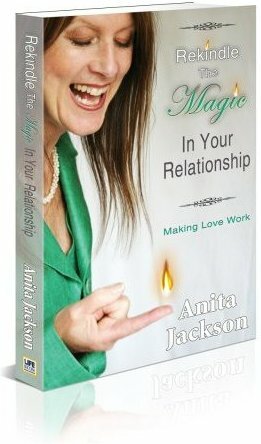 This book, Rekindle the Magic in Your Relationship, is for anyone who wants to have an amazing relationship. I talk with you about how you can do and say things differently. If you are anything like me, until you know how to do or say things differently, you carry on doing and saying the same things over and over again. I used to liken it to a roundabout that kept turning and turning and I couldn’t get off without hurting myself. You may be experiencing a lot of pain right now through feeling abandoned and/or lonely. You may even feel at your wits end and don’t know which way to turn, possibly a bit like a caged lion. You may feel you have tried everything or don’t want to try any more because you feel they should try for a change. You may be ready to give up on the relationship. When you do and say things differently, your loved one has to be different. He or she responds or reacts to what you say and do, just as you respond or react to what they say or do. So they can’t react in the same way, if you are saying or doing something different. The book will tell you how to do things differently and how to say things differently and as soon as you are willing to do and say what is suggested, your relationship will get better and better. I would strongly encourage you to read the book and put each suggestion into practise. Not only will your relationship change, you will feel more empowered, loving and loved. If you know how you feel emotionally, and say how you feel emotionally, then you avoid blaming your loved one and they don’t feel hurt and/or angry and are more likely to listen to you. You will become a role model and he or she will start doing the same. If they don’t, then ask them to and explain how you want to be spoken to. When you show them, you will understand even more…it is the same for all teachers who are willing to learn from their students. I discovered after my marriage was over and when I was helping clients have amazing relationships that the first thing we must all do is love ourselves first. We are important in our lives whether we have a loved one or not. Ok, I can hear you all say, “But that’s selfish” Or “I do”. What I mean is…to put yourself first so you can love, be loved, take care of, be taken care of, etc. If you love and take care of you, your loved one will see that you are worthy of him or her loving and taking care of you too. Let me explain it another way. If you have ever flown on a plane or seen it in a movie, then you know that a video or the steward or stewardess will go through the safety instructions like…”in the case of an emergency please put on your seatbelt, oxygen mask and/or life jacket first before you help anyone else”. Why are they telling you this? It’s not because they want you to be selfish and not help children, the elderly or the infirm…no…it’s because you cannot take care of anyone else if you are dead or in need of help yourself. Don’t recreate the wheel…you don’t want to keep making the same mistakes over and over again. Learn from my costly mistakes. In the book I will give you a far superior and loving relationship to the one you have now.